March 13, 2018 by Jonathan R.
Several people try hard to maintain their youthful skin and glow, but rarely succeed. Here is a Chinese weather forecaster girl Yang Dan, who has not aged for 22 years, and is making everyone jealous. If you were a teenager during the ’90s, you would perhaps still remember the weather forecast girl who would come between the morning news bulletin. One such is Yang Dan, a Chinese weather reporter, who has been trending on social media for a while now. 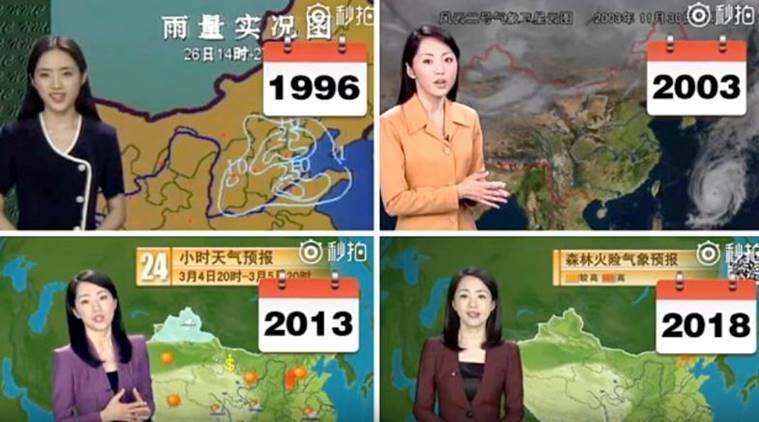 The 44-year-old weather woman from China’s state broadcaster CCTV has been hosting the weather report since 22 years now and her youth seems to be intact, for of her appearance has remained unchanged. No, we aren’t exaggerating!